Eye tracking was used in a visual communication research project on information concerning potable water. Researchers from Western Kentucky University investigated the effectiveness of visual design on instructional materials intended to educate West African residents about personal and public water use, water pollution and conservation. The study was initiated as a thesis project by Jonathan Oglesby at Western Kentucky University Center for Water Resource Studies. He aimed to investigate the best visual communication designs for communicating water education information in West Africa. The thesis project grew into an organization called Fofo Hari, meaning 'Hello Water' in the Zerma language. Fofo Hari now uses technology and art to overcome illiteracy, language and cultural barriers in developing nations by educating West African culture groups about water, sanitation and hygiene in creative ways. The research is gender specific, focusing on women who are the primary water fetchers and users in Sub-Saharan Africa. By combining eye tracking techniques, surveys and interviews, the researchers create visual materials that focus on water pollution, sanitation and personal water treatment techniques. The culture groups to be educated act as consultants in the design process to help ensure the created materials are well received in the villages. By using science-driven, visual communication techniques for water literacy, the researcher strives not only to educate through the use of images, but also to contribute to the wider community about informal science education and visual learning. I believe we can overcome the hurdles of illiteracy and cultural barriers to educate hard-to-reach culture groups about water, sanitation and hygiene. By pushing the imagery as far as we can in our research methods, we are attempting to create a new way of approaching education. 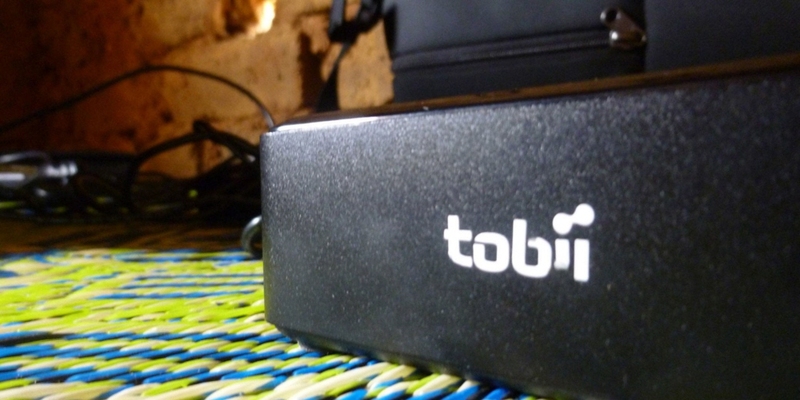 The Tobii Pro X2-60 eye tracker was carried to 12 rural villages and used in a total of 464 eye tracking trials. Eye tracking allowed for the collection of quantitative data about how West African culture groups view and interact with water education materials, which in turn offered researchers the data necessary to develop new materials that would maximize learning outcomes. This is perhaps the first study of its kind to use eye tracking to investigate effective visual learning design in rural African villages. The portability and ease of use or the Pro X2-60 made this research possible. The eye tracking equipment was set up in bush maternity wards, medicinal depositories and mud brick homes during the research expedition. Truck generators were used to power equipment as needed. A total of nine different culture groups were tested, including the Songhai, Zerma, Hausa, Kutay, Gourmanche, Fulani, Kado, Mori, and Tamachek. The Tobii Pro X2-60 eye tracker enabled quantitative data collection on how West African culture groups view and interact with water education materials. 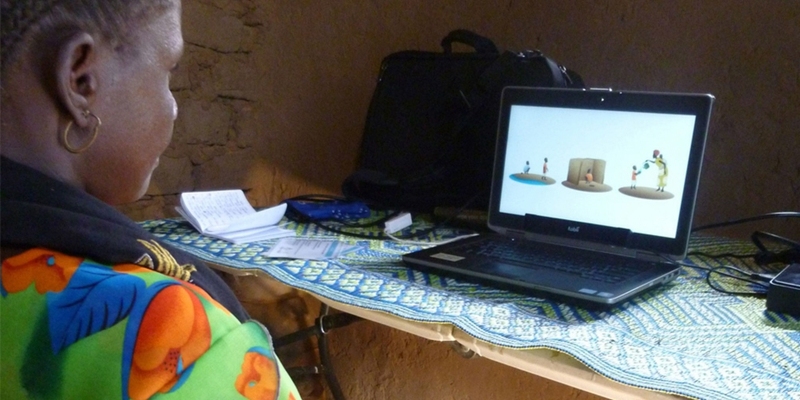 Eye tracking data, complemented with additional interviews with local people, provided a solid ground for creating image-driven water education materials that can be disseminated among the different culture groups living in rural villages, health clinics, and schools in West Africa. By embedding images in their research methods, the project aims to find a new way of approaching education and maximizing learning outcomes that could shift the paradigm of educating hard-to-reach groups. At a mud brick home in the village of Kakassi, the researcher recalls meeting a lady he had interacted with on a research trip a couple of years earlier. "We were going through the interview portion of our eye tracking trials when I asked, "Do you know of any way that the sun can purify your water?". The lady responded, "Yes," almost immediately. I was quite taken aback, because routinely people would firmly answer, "No, I've never heard of that," when I inquired. I immediately asked, "How do you know this?" and she responded, "You showed me how the last time you were here and I've been doing it ever since." This shows that the learning tools work and have longevity in the community, rather than being temporary fixes, which is exactly what the goal of this project is all about."